Posted: Tuesday 21st October 2014 in Owned and earned media, Thought Leadership. The Google Penguin 3.0 algorithm update was released over the weekend. The world of black hat SEO has been basking in a sunny spell of Google algorithm calm for more than a year, but that has now changed. Winter is upon us again with the long anticipated release of Google’s Penguin 3.0 update last Friday. This was confirmed by Barry Schwartz, Executive Editor & founder of Search Engine Roundtable via a blog on Sunday afternoon. As with all Penguin algorithm updates and refreshes it looks to refine search engine results, penalising links that intentionally try to manipulate rankings (predominantly poor quality links). Over the months we have seen plenty of notifications on Google cracking down on link networks in various countries. As of yet it is unclear if it is a “refresh” to the penguin algorithm or a “revised algorithm update”, but it has got the industry talking. SERP monitoring tools provided by Moz’s Cyrus Shepard gives mixed feedback at the moment, so we’ll be monitoring this closely over the next few weeks to get some more clarity on what type of release it is. 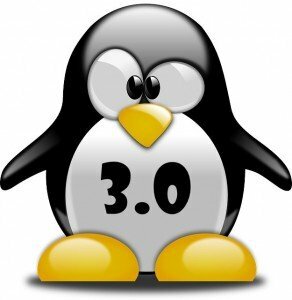 What does Google Penguin 3.0 mean for retailers? What action is Summit taking? 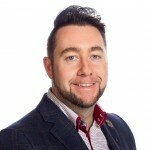 At Summit we recognise the importance of genuine, quality links. We all understand that retailers want prime ranking positions, but there is no quick and easy fix to position 1. If someone tells you they can guarantee you position 1… Run for the hills or you’ll have an angry Penguin taking a bite out of your rankings until you repent of your (or your agency’s) bad ways. With any of Google’s algorithm updates or refreshes there is always some fluctuations up and down while the dust settles, possibly due to your competitors exiting higher positions or as Google assigns a quality score to your back-link profile against its algorithm and the sector in which you operate. We recommend a two pronged approach when it comes to links; quality link generation and back-link validation/cleansing. 2. If you have an agency leading your link generation activity, ask them to explain their strategy and guiding principles if you don’t know already. After all, they represent you and there is no excuse for ignorance. They should be more than willing to be open about this with you and if they aren’t you should be concerned. What does your back-link profile look like and is it strong or weak? What’s the goal? 3. Monitor your back-link profile at least every 3 months; Look for sharp spikes in grouped domain authorities and investigate. Sharp spikes in one area are a cause for concern. 4. Run a link detox report and validate the output; Not all will be toxic links but you could be surprised how many poor quality links you have picked up along the way. 5. Remove low quality links that do not drive quality traffic, or are unrelated to your sites services/products/content theme. Ask yourself realistically, who would click this link and actually engage with your site? 6. Try to remove poor quality links manually by contacting those sites directly, if you don’t get a response then use the “Disavow” tool – This is recommended by Google. 7. Remember not all low quality links are bad, a natural back-link profile will pick up low quality links. You need to consider the quality of the traffic and the relationship between their link and your site. New sites start off with low quality links but help give you that freshness factor when it comes to linking to your brand. The list can go on, but this should be enough to guide you in the right direction or be able to ask some well informed questions. Implementing the tips above will be like handing our furry friend, Google Penguin, a handful of his favourite krill and squid.